Turn an apple into an edible Kong-style toy for your dog! Remove the sticker from an apple, then wash it. Carefully cut out the apple core. Double check that all of the apple seeds have been removed from inside the apple. 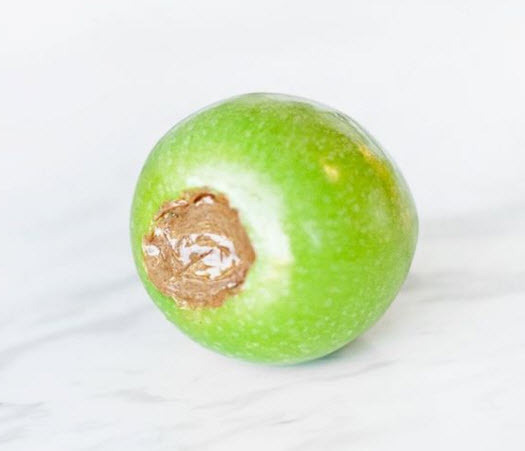 Fill the center of the apple with peanut butter, then give the treat to your pet.